SEÁN KELLY HAS called for greater monitoring of super trawlers off the Irish coast following the deaths of three dolphins. The Fine Gael MEP for Ireland South recently wrote to the European Commission about the issue, after if was raised with him by constituents and dolphin and whale interest groups. Speaking to EuroParlRadio, Kelly said he was pleasantly surprised when the commission responded, saying it was something he “didn’t expect”. “Since 1991, the coast of Ireland has been a dolphin and whale sanctuary and, unfortunately, in July this year three dolphins were found dead and one of them had a rope around its tail. Kelly said the commission is “obviously taking it seriously” because it has “proposed revised technical measures on how to deal with this issue and the monitoring of super trawlers”. The only way to deal with an issue like this is to have onboard inspections, in particular, and then for the Sea-Fisheries Protection Authority (which is based in Clonakilty, Co. Cork) to be given the opportunity and resources to continuously monitor what’s happening off the west coast of Ireland. Kelly said the rules need to be enforced and people who break them should be “dealt with” and “[brought] to justice”. In July, Sinn Féin MEP Liadh Ní Riada called for an “effective ban” on super trawlers fishing on Irish waters. Under the EU Common Fisheries Policy, vessels registered in the EU are allowed to fish in any EU waters. At the time, Ní Riada said: “Super trawlers are seldom if ever boarded and seem to be immune from any form of inspection. 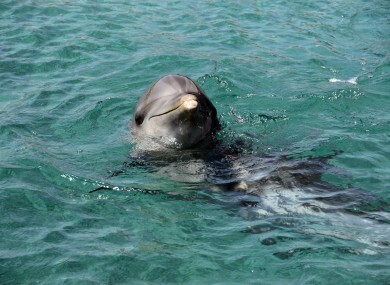 Email “Call for more monitoring of super trawlers after dolphin deaths ”. Feedback on “Call for more monitoring of super trawlers after dolphin deaths ”.